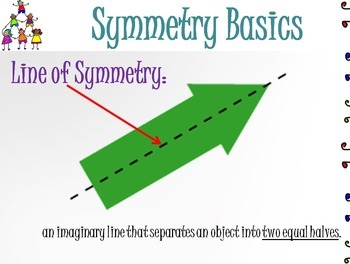 Have fun and incorporate technology into your lessons by downloading this engaging PowerPoint lesson on Symmetry. *Lesson includes several examples of objects with and without lines of symmetry, vocabulary, symmetry basics, kinds of symmetry, practice questions, review, etc. 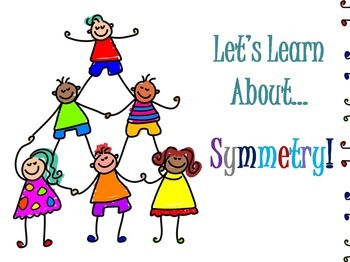 Starts out with a review of basic skills needed before beginning symmetry including: fractions, computation, statistics, data analysis, and probability. *This PowerPoint specifically reviews ASYMMETRY, BILATERAL symmetry, and RADIAL symmetry. "Thanks! I used this with my 6th graders." --Amy D.
*THE SAMPLE FILE MAY NOT CONTAIN ALL OF THE PAGES THAT YOU WILL RECEIVE IN THE FINAL PURCHASED PRODUCT. *Please see my other items for sale.